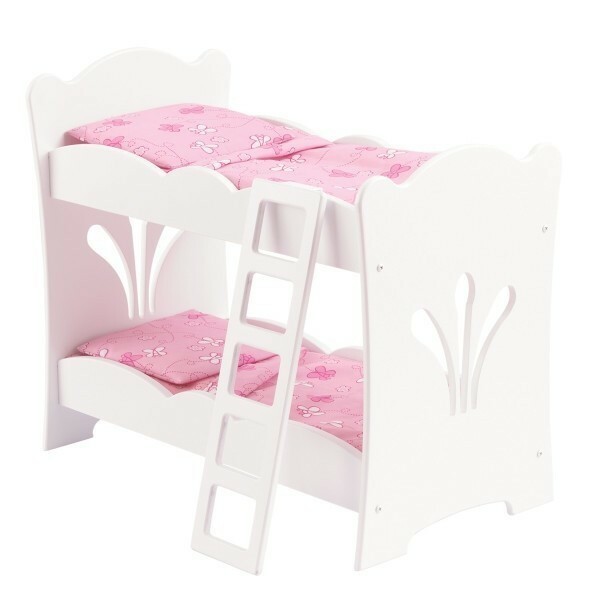 With the Lil 'Doll Bunk Bed from KidKraft (60130) you have fun for two. 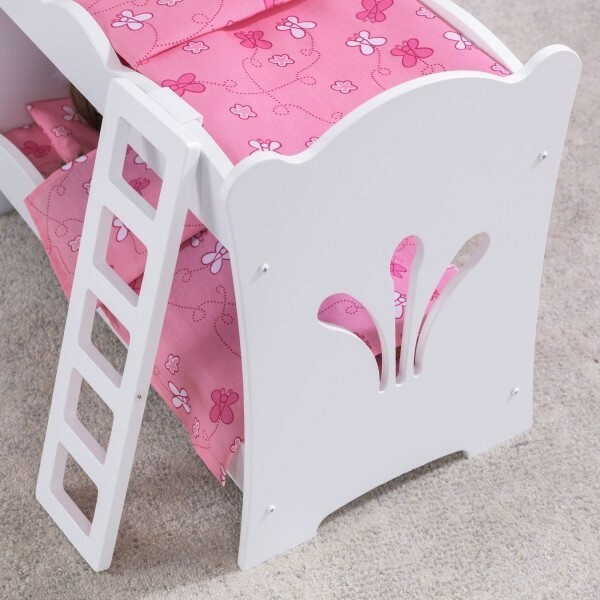 The wavy finish and the refined cut-outs give the bed a classic, vintage look. 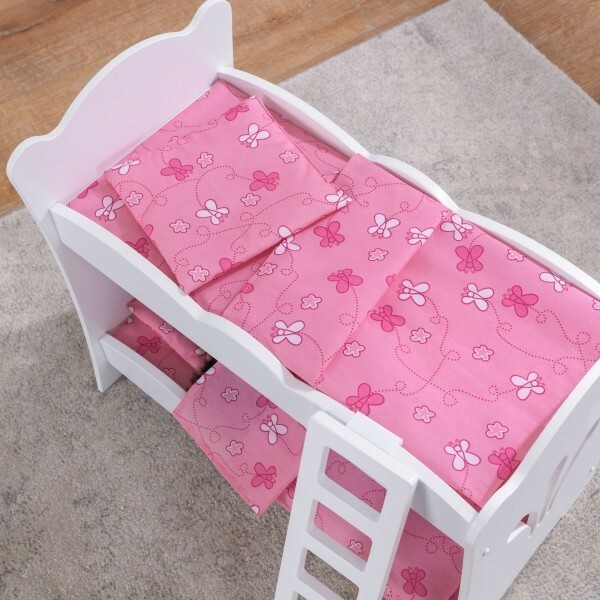 The two sets of butterfly bedding and a ladder to the top bed, make sleeping in this Lil 'Doll Bunk Bed from KidKraft (60130) to great pleasure for dolls of 45 cm.